Balance your unicycle and try to ride 100 meters. Press the SPACEBAR to start and restart. 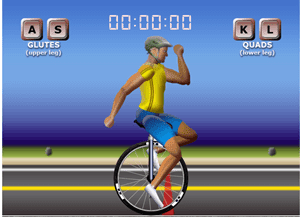 Use A, S, K, L keys to control the muscles of the legs of the unicycle rider.